I've had this cute stamp set from Newton's Nook for a while, and I thought I loved it. Then I inked it up and WOW - I REALLY LOVE IT. 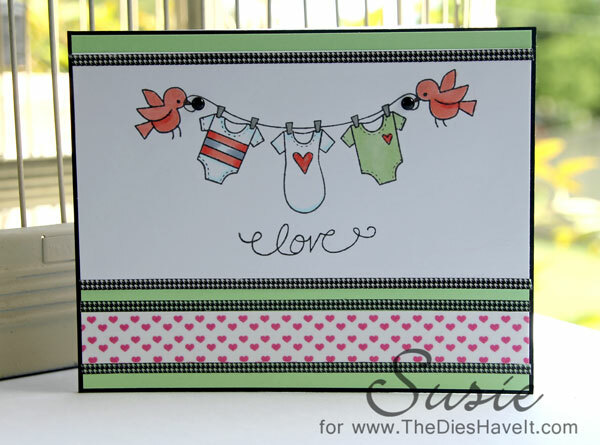 The set has super cute baby images in it and I plan to use them all. Next I will be doing a little boy version and I can hardly wait. Enjoy your day and be sweet. This is so sweet and so darling! I love Newton's Nook stamps! I need to get this one!